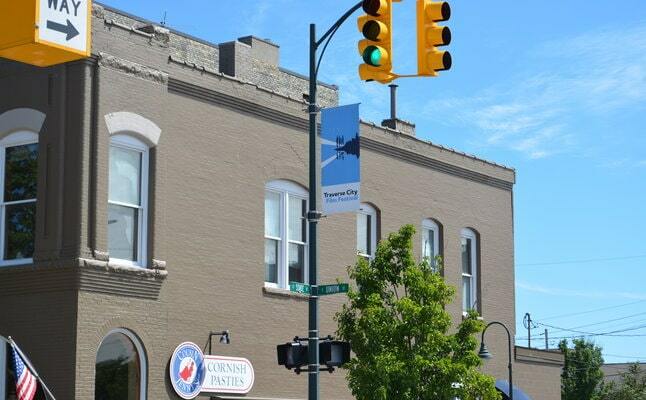 Front Street is buzzing as Traverse City businesses prepare for the ninth annual Traverse City Film Festival. 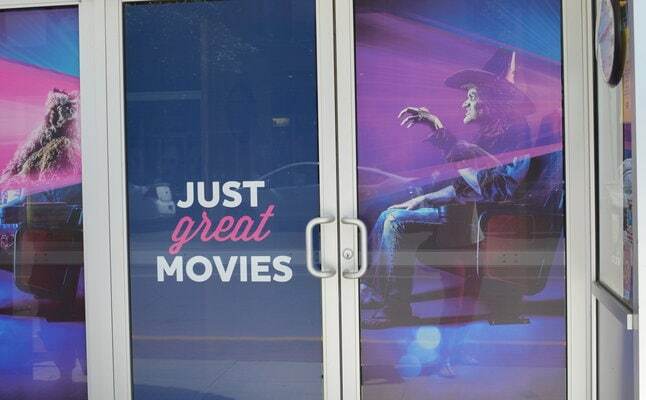 The festival is an important event for downtown area businesses and many shops are incorporating elements of movies into their storefront displays. 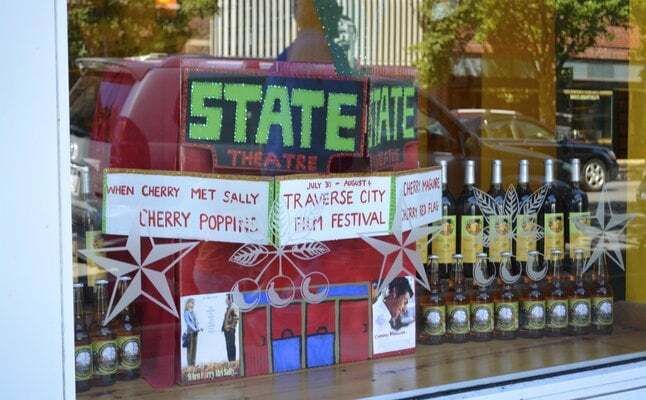 The 2013 Traverse City Film Festival, begins tomorrow, Tuesday, July 30, and runs through Sunday, August 4. Click here for the complete film schedule! As the opening of the ninth annual Traverse City Film Festival draws near, downtown Traverse preps for the event. 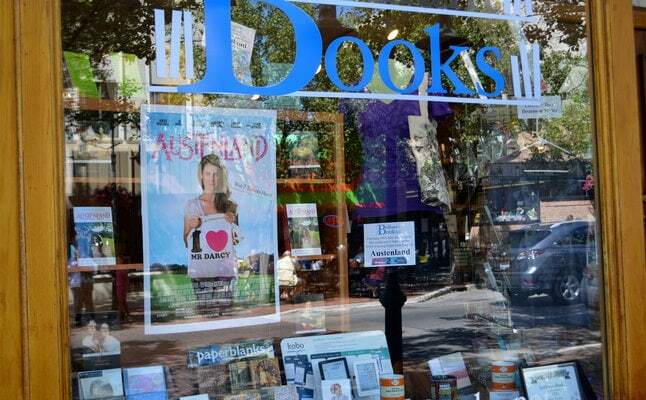 Brilliant Books on Front Street gets in the spirit of the Film Festival by holding a contest for two tickets for the TCFF Closing Gala. Stewart - Zacks, a home decor store in downtown TC prepares for the film festival by decorating their store front in a movie theme. 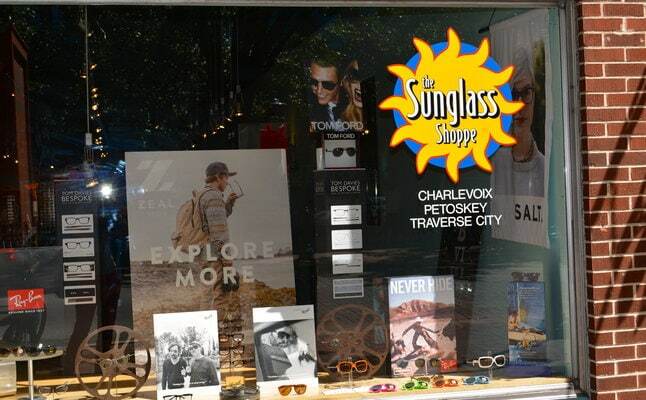 The Sunglass Shoppe incorporates the Film Festival into their display by decorating with film reels. 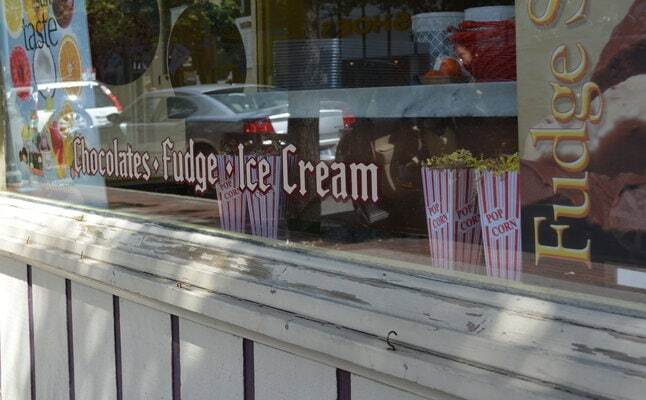 Kilwin's decorates their store front with popcorn containers to show their support for TCFF 9. 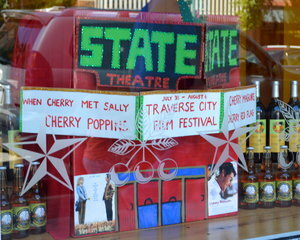 The Cherry Republic replaces classic movie title with the word "cherry" in their witty film-fest inspired display. 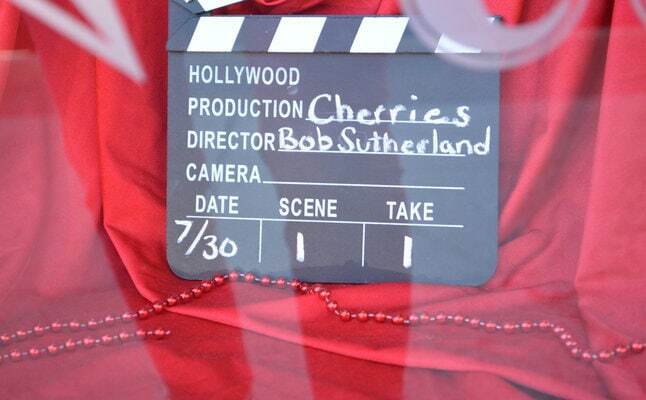 The Cherry Republic honors their founder, Bob Sutherland in their film-themed display. The State Theater prepares to host showings of several movies during the festival's six day run. The schedule of the Film Festival hangs outside the doors of the State Theater. Film Festival volunteers sell souvenirs outside of the State Theater.